Science of miniaturization (nanotechnology) is manipulating matter at nanometer level. Using nanotechnology, in the latest 10 years a new field of research appeared: dental nanomedicine, which will use new tools, nanorobots. Aim This paper aims to provide the recent information about some application of nanorobots to dental problems, especially in orthodontics. 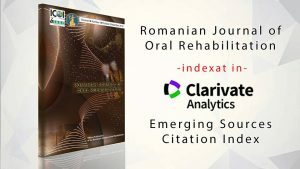 Materials and methods We addressed some queries to the electronic data bases including „Google Scholar”, „Google Books” and MEDLINE, using the key-words: ”nanotechnology”, ”dental nanomedicine”, ”nanodentistry” and ”dental nanorobots”. We have taken into consideration the articles and monographies in the field of nanomedicine and nanotechnology issued in English until the 31st of December 2010. From the collected materials, we have conceived a summary of the data about the design and architecture of nanorobots, as well as their applications in dental nanomedicine. Results The dental nanorobots will be invisible for human eye and could have different shapes as they will have to do different tasks. They will be manufactured out of thousands of mechanical parts, made out of diamondoid materials. The most important part of the architecture of a nanorobot will be the nanocomputer on board which will be under the control of the dentist. 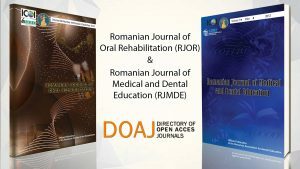 The dental robots could accomplish numerous tasks: inducing local anaesthesia, desensitize teeth, correct positioning of periodontal tissue and poorly aligned teeth, restorative dental procedures, and curative preventive procedures at oral cavity level. Though there will be numerous benefits of using nanorobots in dental medicine, some scientists consider that there will be also some risks, including the disappearance of every living being on Earth if the nanorobots will evolve towards the capacity of continuous auto-replication. Conclusion Nanorobots will be the next big treatment revolution in dentistry. Scientists appreciate that the years 2020 will be called “the decade of the medical nanorobots” as in those years these “intelligent” instruments will be at work. The role of the dentist working with such instruments will change, but also the types of the dental problems of the patients who will address to him will change.